Sentia School is a finalist in the Future Projects: Education category. Image supplied by the World Architecture Festival. A five-storey school with a rooftop garden and playground, situated in the heart of a bustling city and surrounded by skyscrapers – this is the vision of just one of the projects nominated for this year’s World Architecture Festival awards. Some of the world’s most innovative designs and the architects who created them, will be showcased at the festival in Germany later this month. To continue with our Learning Spaces theme during November, Teacher has taken a closer look at the projects up for the ‘Future Projects: Education’ award category. From the shortlist, it’s clear that you no longer have to imagine what schools of the future will look like, they are just waiting to be built. 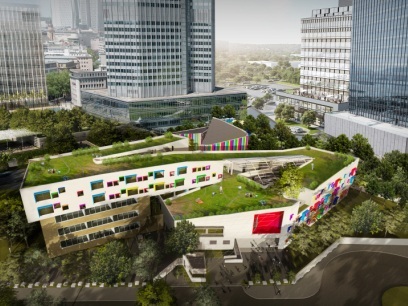 Located in Hanoi, the asymmetric site for this planned school is surrounded by several skyscrapers. The school will cater for students in primary, secondary and high school, and each will have their own playground area. The classrooms will run in a zigzag throughout the site, while the sports field, gym and canteen will be at the end of the building in an effort to reduce noise. There will be three separate buildings – each five storeys and connected by open corridors. The first two floors will be used by the primary school and the secondary school and the next two floors are for the primary school and high school. The fifth floor rooms will be used for activities such as art, music and research. The school boasts a rooftop garden aimed at promoting the pupils' interest and broadening their knowledge in agriculture and biology. 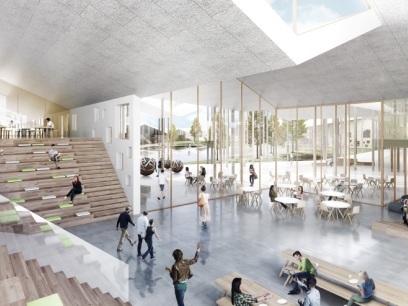 The design of the school is intended to appear ‘playful’, therefore the arrangement and size of the windows will all vary throughout the buildings. The colour of the school will be in a neutral white and brown and ‘the cheerful colours of the sun’. One of the things taken into consideration by the architects is wind direction. The canteen, swimming hall and gym are located in the north so the wind can blow away the smell of the canteen and gym from the school, while classrooms are in the south. 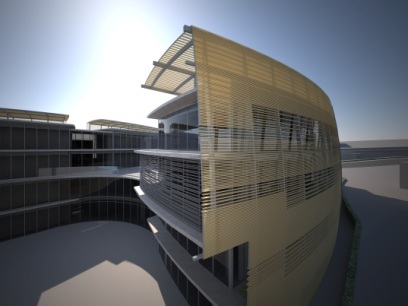 A new environment for learning have been envisaged for Knightsbridge Schools International (KSI), with plans to develop a new kindergarten, primary school, a college and a high school. The vision for this project is for the school to become ‘a green attractive island and heart of the community’. It will be split into two distinct sites: the secondary school located on the north, and the primary school on the south. The primary school building has been designed with distinctive architecture of raised gardens and extended balconies. The secondary school however, will consist of four separate buildings, as well as the shared sports and assembly areas. It is understood that it will take several years for the school to reach maturity. In fact, the plan is to begin with the primary site, and by 2022, a total of 28 classrooms will be needed. In the meantime, the primary school will accommodate both primary and secondary school students. 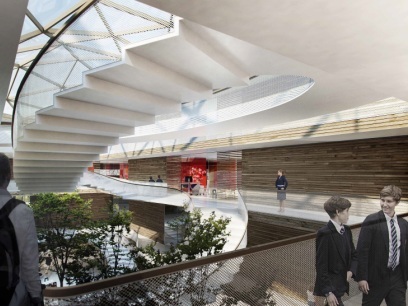 With plans to accommodate over 1000 students aged from three to 18, and 400 staff, the Smart School educational complex has a vision to ‘create a new type of school’. The school ­– consisting of a preschool, junior school and high school – places great emphasis on diversity and inclusion. So much so that a minimum of 15 per cent of the student body is reserved for orphans and children with limited physical capabilities. Given this, the site will also have a specific place for the orphaned children to live with their foster families. There are also plans to have a cultural, leisure and health centre on the site, which will be accessible to the public. The vision is for this to become a gathering point for the local community. Set in the scenic Mt. Yanming Area, the hills that surround the school (there are nine to 15 meters height difference across the entire site) provide both architectural challenge and opportunities. The school boasts an underground auditorium and indoor basketball court, as well as several spacious communal spaces, terraces and outdoor activity areas. 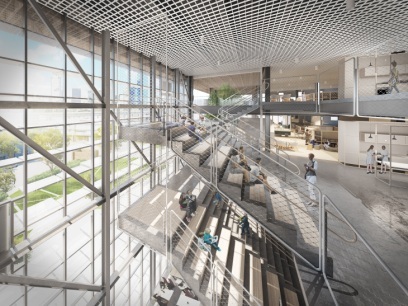 Essentially, the objective of this project’s design is to create a contemporary, vibrant campus that echoes with its Taiwanese cultural context. The aim of the Al Madinah Academy project is to establish a school that is truly state-of-the-art. It aims to be the ‘loci of excellence’ in the region, working to encourage creativity, knowledge and social responsibility in the students who attend it. It will deliver the International Baccalaureate program using contemporary approaches to learning. 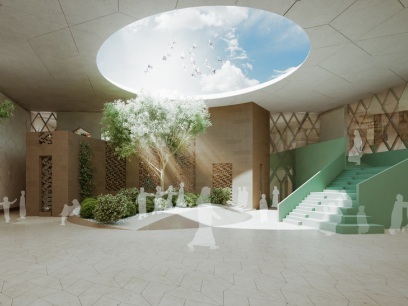 While the learning spaces will be comprised of both indoor and outdoor areas, the core of the cultural district will be a signature garden home to the ecology of the region. It will also be equipped to host evening functions and allow for the direct interaction with the mosque, museum and theatre. In response to the reclamation of industrial land close to the central business district of Melbourne, South Melbourne Primary School is a new model of vertical school. The development of the Fishermans Bend Urban Renewal Area precinct will include both a major residential and business area with a proposed density of 32 000 people/square kilometres (equivalent to Manhattan’s population density). The proposed school will accommodate over 500 Foundation to Year 6 students and will become an integral component of the Montague Precinct within Fisherman’s Bend providing an education and community focus as the area is developed. This includes community spaces and services. AWARDS UPDATE: Hayball's design for South Melbourne Primary School was name winner in the 'Future Projects: Education’ award category. The winners of the World Architecture Festival awards will be announced later this month. Stay tuned for our coverage of the winning project and the shortlist and winner from the Schools Completed category.